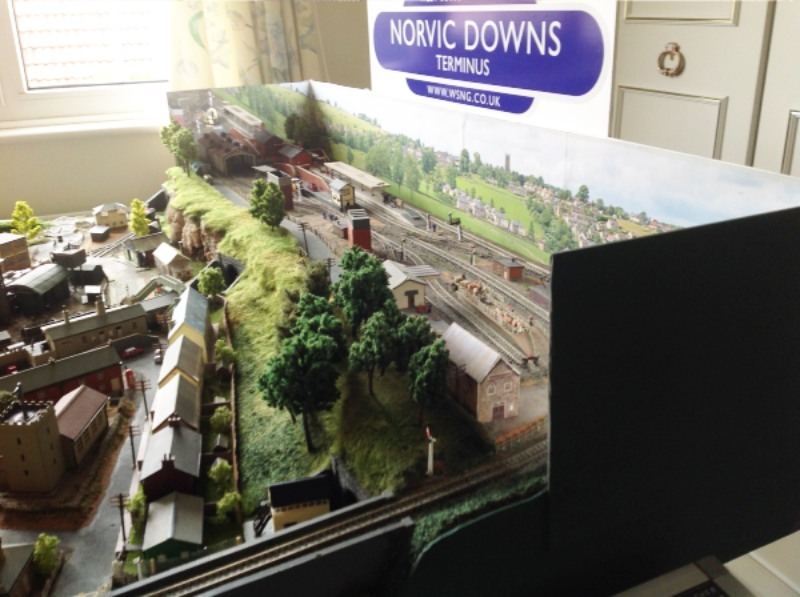 The N Gauge layout represents the line that ran from Axminster to Lyme Regis. It passed over Cannington Viaduct which settled during construction, hence the Jack arch at one end. Most of the line was actually in East Devon, apart from Lyme Station in West Dorset 250’ above sea level half mile from the coast. The single platform (300’ long) could accommodate five carriages. 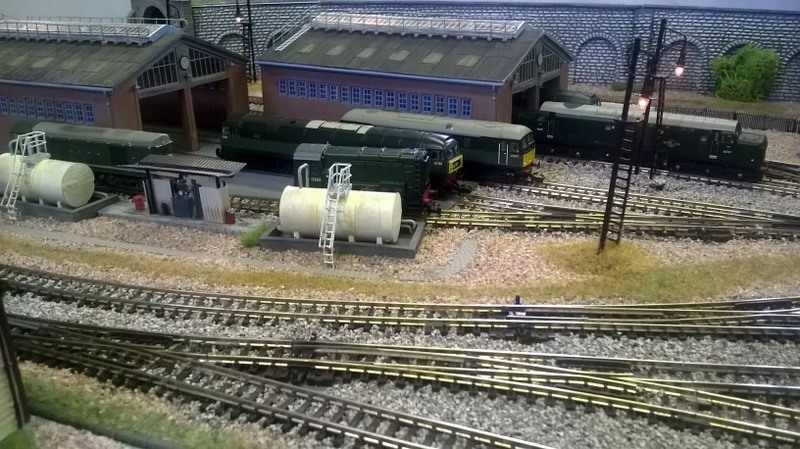 The goods yard comprised three sidings and a goods shed. At the other end was an engine shed. The line had switchback curves. Combpyne Station was the only intermediate stop on the line which provided a passing place, together with a small cattle dock, later on a camping coach was also located there. 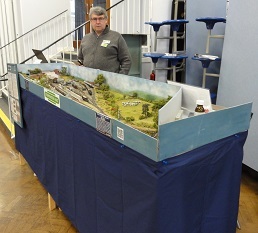 The layout was originally constructed by a club member Ian Phelps (sadly departed). It was exhibited at our first club show at Hove in 1992. Later it was put into storage with an occasional outing. 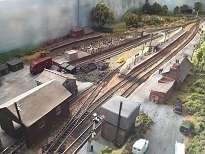 I took on the task along with other club members to refurbish the layout. Some track was relayed. It is as they say ‘a work in progress’ but much improved. The layout is available for Exhibitions. 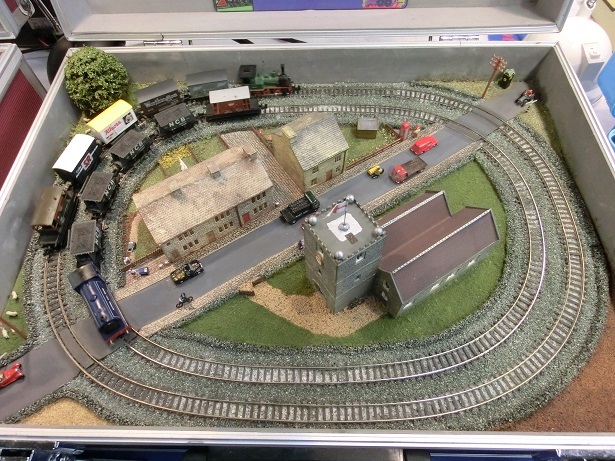 Please contact Phil Lovesay, West Sussex N Gauge. 01273 410297. phil@lovesay.plus.com. 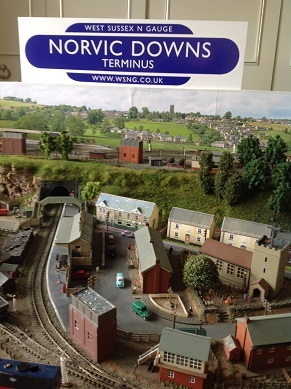 It is approximately 8ft x 7ft with two main viewing sides, Station and Cannington Viaduct. 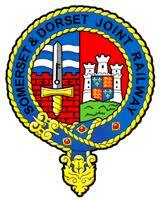 Sturminster Newton station was opened in 1863 as part of the Dorset Central Railway. The station was on a single line section and the station had two platforms which are staggered with a dip on the up side to allow passengers and staff to easily cross to the down platform. 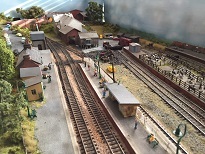 The main station buildings and 16 lever signal box were on the up platform with a small shelter on the down platform. 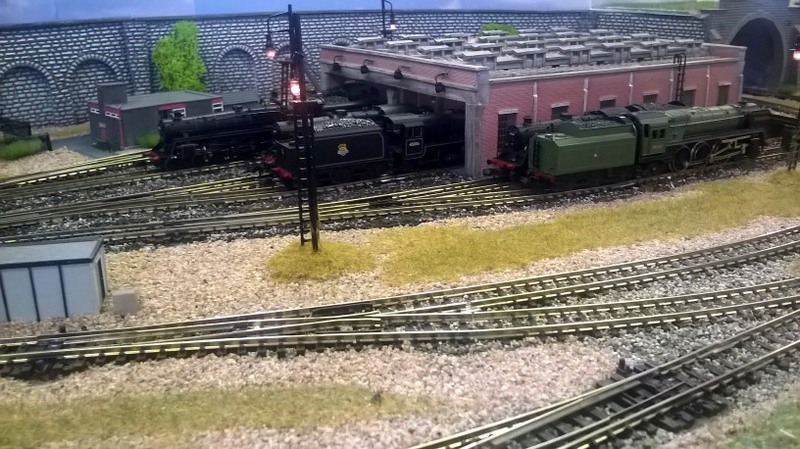 The Yard included a cattle dock, pig pens, goods shed and offices as well as a bay for the Blandford and Webb warehouse and a passing loop. 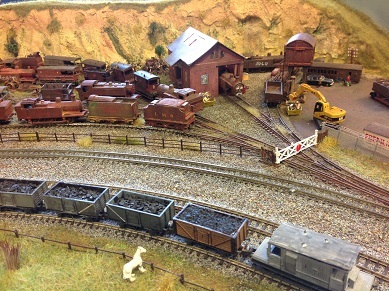 The layout is based on an 8 by 2 foot base with the scenic area around 7 feet by 18 inches. Information boards are fitted at the front and control is undertaken from the back. A table is required for stock and enough room for 2 operators at the rear or side. 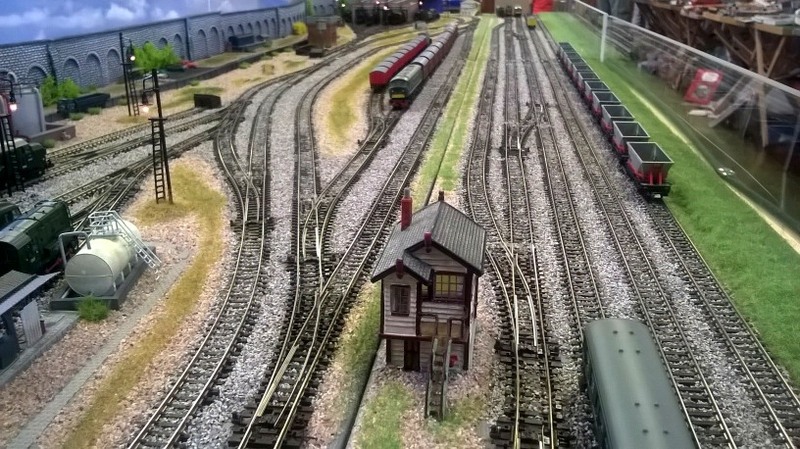 Both these n gauge layouts are modular but are often linked together to form a ‘stand-alone’ layout at Exhibitions. 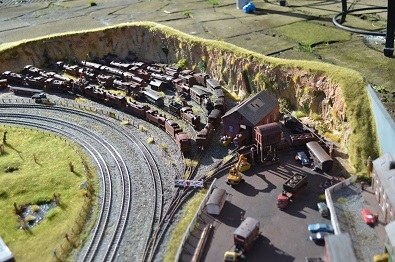 Barry Inspired Scrapyard is a reverse corner layout built by Gilly North using non-working locomotives, tenders and brake vans, together with unwanted or broken buildings and track donated by Members of the WSNG. All the stock was heavily rusted and the buildings weathered. A simulated oxy-acetylene torch operates in the dismantling shed. 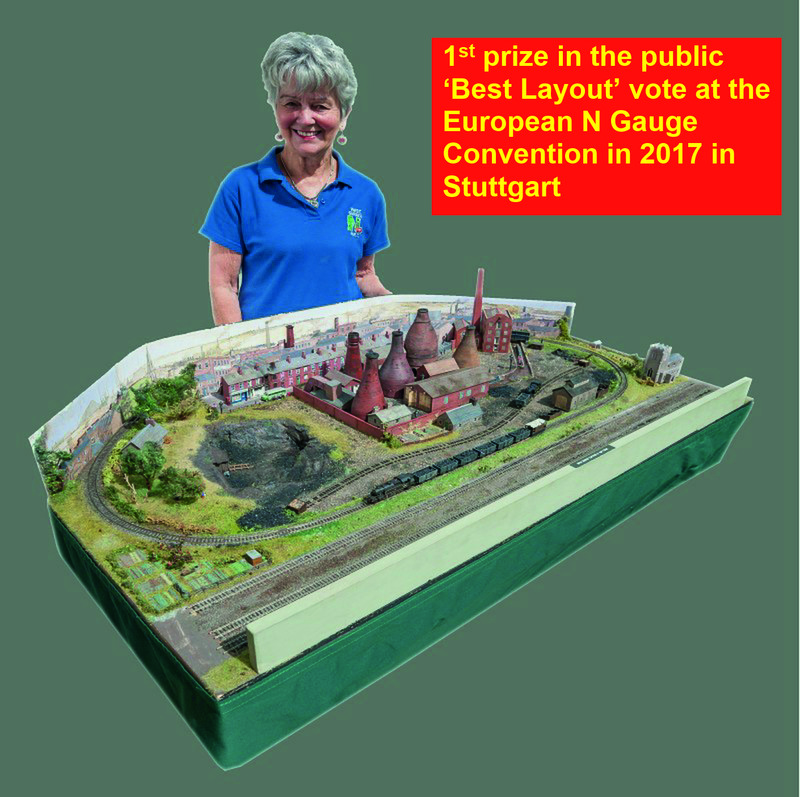 It has featured in Model Rail (July 2017) and the N Gauge Journal (6/14) and believed to be unique. It is based in a sandpit. 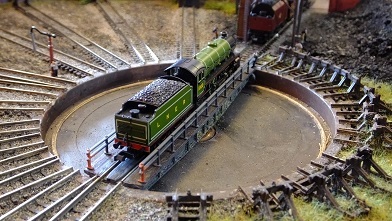 Peter North built the corner DCC steam Turntable Yard featuring the automated ADM stepper turntable. Each of these layouts can be shown separately, but complement each other when linked together and attract considerable interest at Exhibitions. The overall dimension is 8ft x 3ft and access is required by two operators at the rear. Chrilvinton Road depicts one of those typical small GWR branch lines connected to main line just south of Turo. Due to disputes with the local landowner the station was built about 1 mile from the village. With the GWR’s generous schemes freight was always the main stay of the branch with animals always on the move to market. After the 1950s the car and the lorry soon took away the passengers and the freight so the branch closed in 1963. 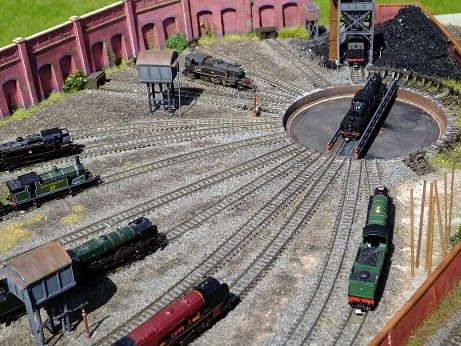 The layout represents the twilight years of operation with both GWR and BR engines providing the motive power. The village fair is in full swing raising funds for the castle’s upkeep and a local diary is operating from the old factory site. The name ‘Chrilvinton’ comes from…….. well you will just have to ask one of the operators!! 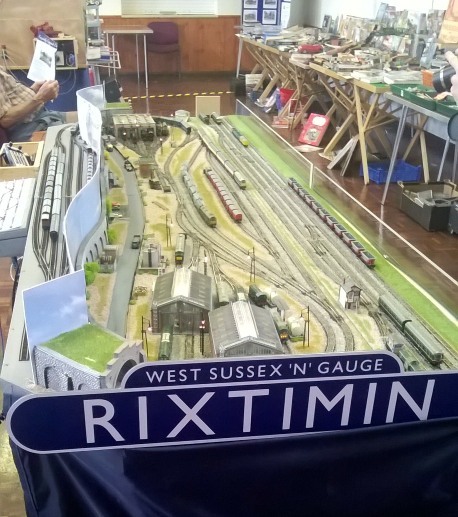 Rixtimin was originally planned to be a layout using only Minitrix stock from the 1970's to 1990's. 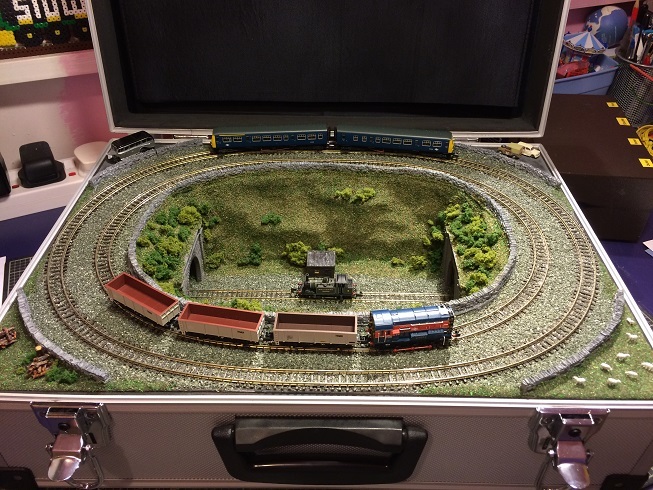 This changed when the option was taken to build as a DCC layout. The cost and difficulty of converting the locomotives to DCC made using modern Farish & Dapol stock more workable. I kept the name. 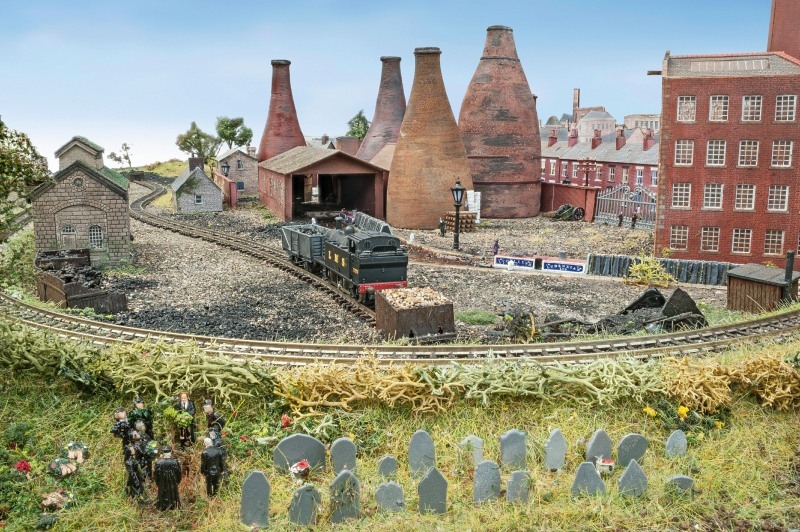 It depicts a fictitious scene at the end of steam and begining of the diesel era. 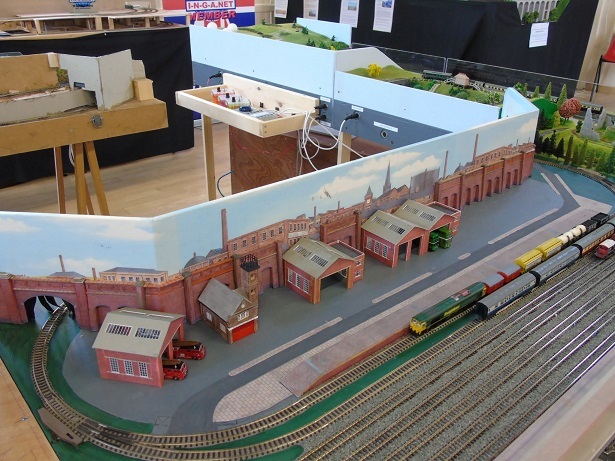 The layout measures 8 feet by 3 feet and at this moment in time needs 4 feet of operating space behind the layout, making a requirement of 8 feet x 7 feet. Viewing side is one side only. 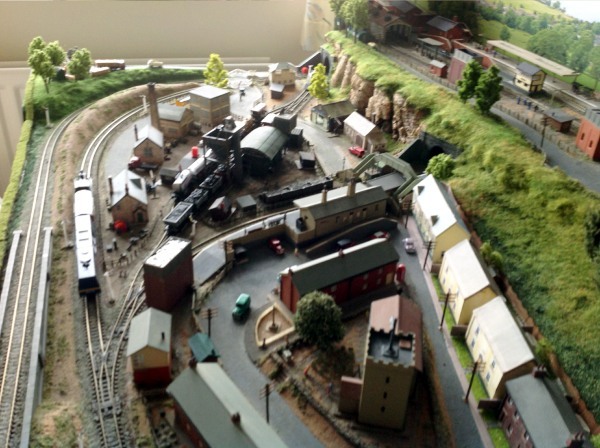 There is a plan to add a new fiddle yard that would take it to 8 feet square. 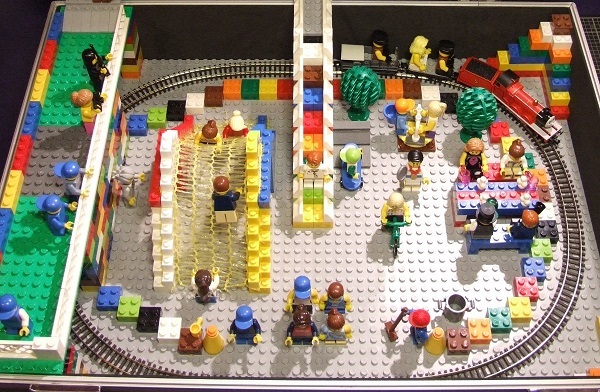 This layout is available for exhibitions as a stand alone layout. 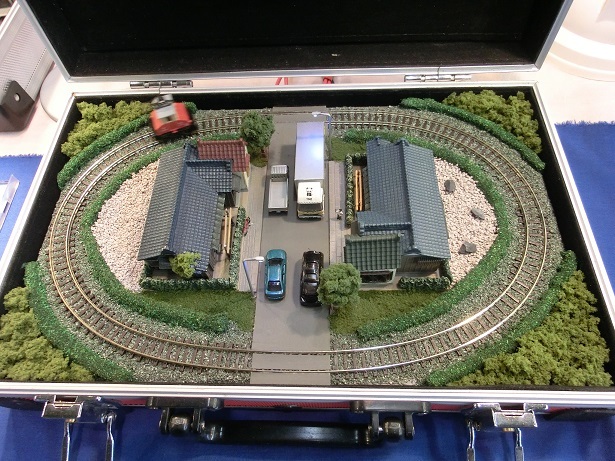 It is built to be part of the WSNG modular layout. It is designed as a two operator layout, but can be operated solo. 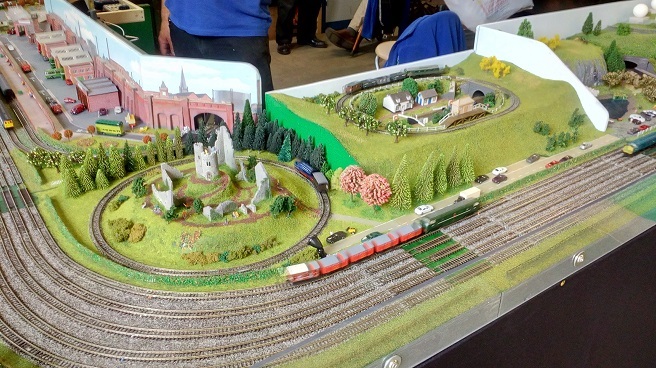 If you would like this layout at any show, please email Nigel Appleton at n.appleton888@btinternet.com. This is an exercise in minimalism even by N Gauge standards. 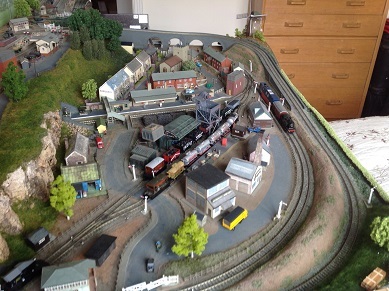 A small and light hearted display of working N Gauge trains in what might seem impossibly small spaces. The cry or moan “I don’t have room for a layout” should not be heard any more. A small modular layout, made up of 4 boards, a 4ft long straight board, a 4ft long board with a built in corner and 2off 3ft long loop boards at each end. (See diagram of layout. 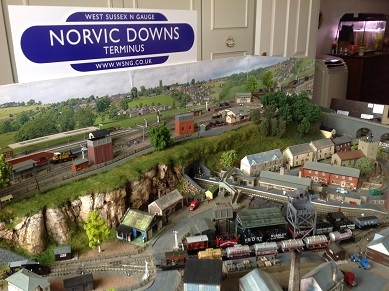 ).There is NO set location, NO set period just enjoy running trains, from Thomas the tank engine, to steam locos and diesel locos. 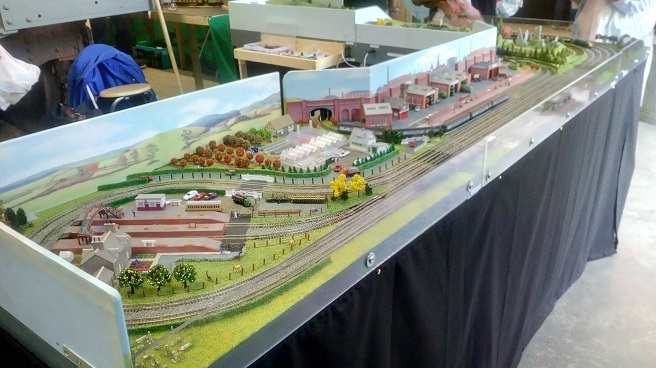 Each board has its own imaginative scene, canal scene, castle ruins, lake and hills, nursery and an industrial area. Layout is free standing. Requires one power point. Needs two operators to run layout. There are 2 looped tracks on the front of the boards, which will have DCC locos running. Also there is a shuttle line on the front of board running end to end (track 3 from front of board). There can be up to 8 loco's running at any time.